We deliver innovative, secure and exciting mobile HCE (host card emulation) tokenization services to our card issuing customers and partners globally with the ultimate aim that their consumers can use SWIM modules on smartphones capable of end to end secure cloud messaging and off-line contactless NFC mobile payments at Points of Sales. 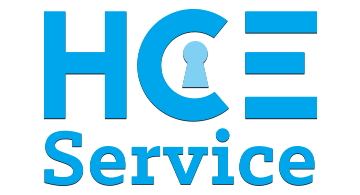 At HCEservice.com, through our innovative and state-of-the-art hosted software as a service (SaaS) infrastructure, we service retail enterprises, transport, telecom, local government, and banks and other financial card/token-issuer customers. Our SWIM (Software Wireless Identity Module) mobile app service is the major security component in our customers’ smartphone payment and messaging infrastructures. SWIM Mobile Apps provide strong cryptographic security to a wide range of applications and services on mobile devices such as Android. Our hosted wireless MAP (Mobile Application Platform) wallet server is the most advanced HCE EMV card/token issuance payment platform for most card/token issuers! We manage for our customers SWIM Mobile Apps on consumer NFC (Near Field Communication) smartphones, which securely store card tokens as an alternative to carrying physical cards. Our unique business proposition is to provide SaaS (Software as a Service) HCE (Host Card Emulation) services to card issuers in sectors from finance, telecom, retail to transit. We offer application hosting to card issuers wishing to issue HCE tokens and process HCE payments. We customise fast and secure mobile payment ‘HCE token’ apps to our issuers’ requirements. We work with Transport, Telecom and Retail Enterprises, Local Government, and importantly Bank Card Issuers. We give high priority to security compliance including PCI-DSS compliance. We provide greater than 99.95% uptime as typically expected within the ﬁnancial IT industry.